We are a locally based New York animal control and wildlife management company specializing in Squirrel Removal and Squirrel Control, squirrel damage repair, decontamination and exclusion work, ensuring that we permanently help you get rid of your squirrel issue. Whether it is your business, primary residence or vacation home, we handle nearly all aspects of squirrel removal and squirrel control. We service the following counties and States, Orange, Dutchess, Ulster, Rockland, Westchester and Putnam Counties in New York. We apply our extensive knowledge of wildlife management services to create the best solution for your human wildlife conflict circumstance. We Provide the best Squirrel Removal and Squirrel Control in Putnam County. Thorough site inspection of the commercial or residential property combined with on-site interviews. This is done to clearly understand the issue and to determine how and why the squirrel got there. Whether it's a woodpecker or a squirrel, a bat infestation or a skunk spraying your family pet, Wildlife Busters being New York's premiere nuisance wildlife control service company are staffed by technicians who are expertly trained in animal control services including animal trapping and removal, wildlife damage repair and decontamination as well as, animal exclusion and prevention plans. Our first step of course is to resolve your squirrel control issue doing a thorough on site inspection. Through that process Wildlife Busters® will identify all points of entry for nuisance wildlife, from squirrel in the chimney to bats in the attic. We remove nuisance wildlife and exclude them from returning through the use of efficient squirrel control prevention techniques. Most Squirrel Removal problems begin on the outside and work their way inside your residence, commercial property or place of business. You can be confident that our specialists at Wildlife Busters will take the time to inspect your property from top to bottom, inside and out to make sure we resolve your Squirrel Removal problem permanently. 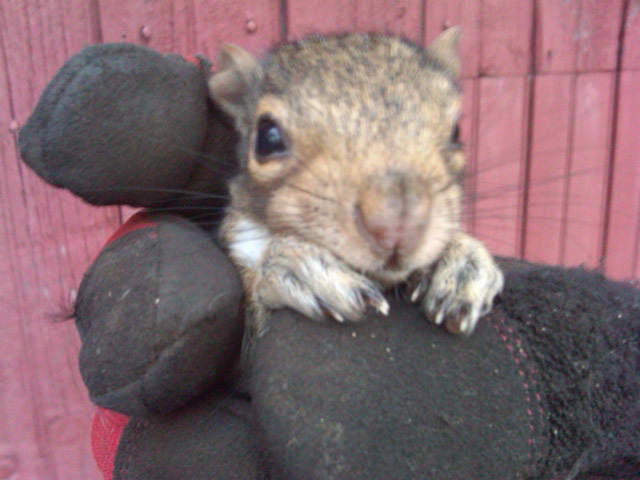 All of our Squirrel Removal services are humane and our work performed is guaranteed.